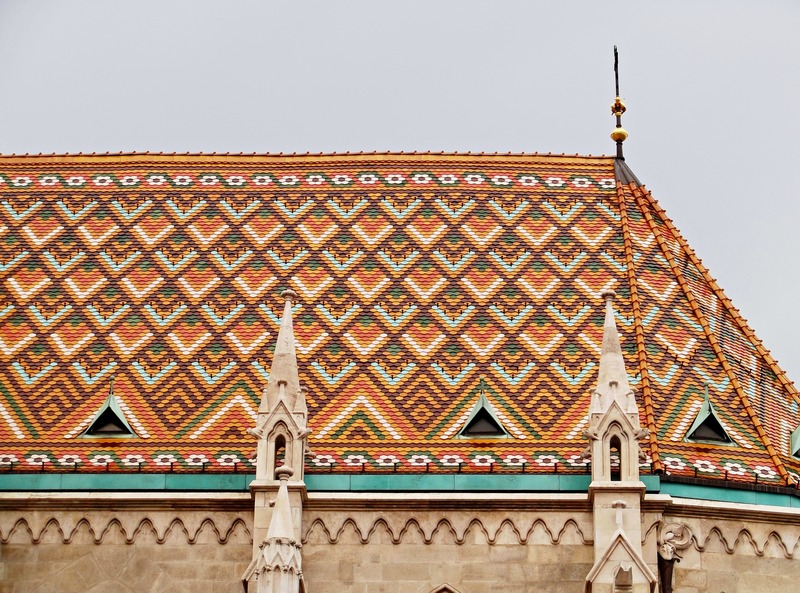 The orangey roofs of the Roman Catholic Matthias Church in Budapest are a landmark of Hungary’s capital. 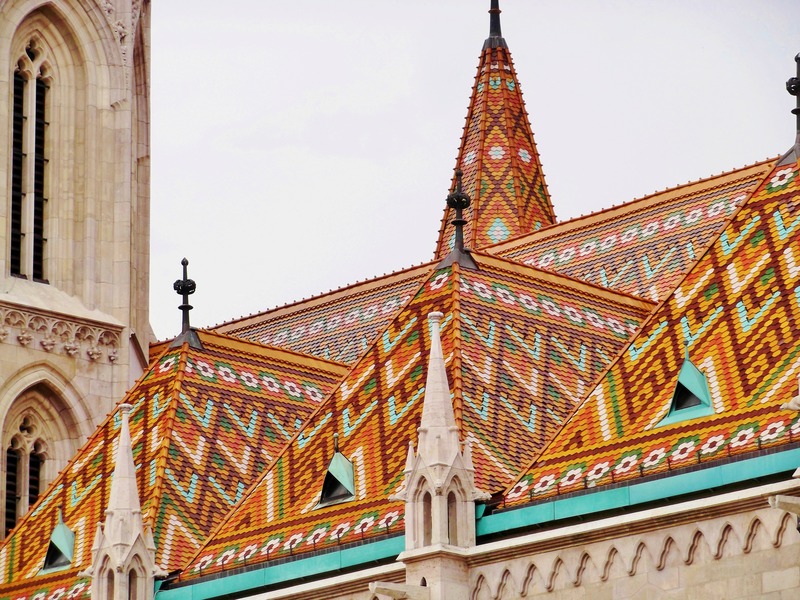 Matthias Church is situated in the famous Buda Castle District, and as such part of a World Heritage Site. The church was constructed in the 13th/14th century, but thoroughly restored in the 19th century. Its predominent style is Neo-Gothic. The mostly orange-coloured roof tiles were added to the church during the restoration in the 19th century. 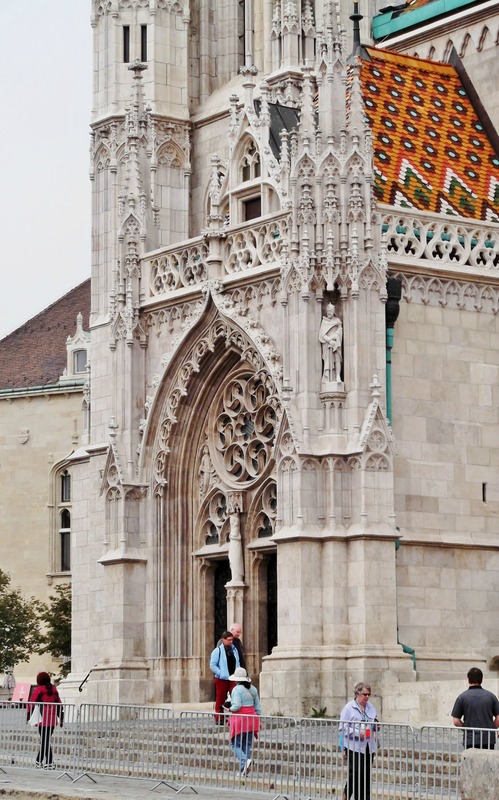 The main entrance of Matthias Church. Unfortunately, the church was under restoration during my visit. 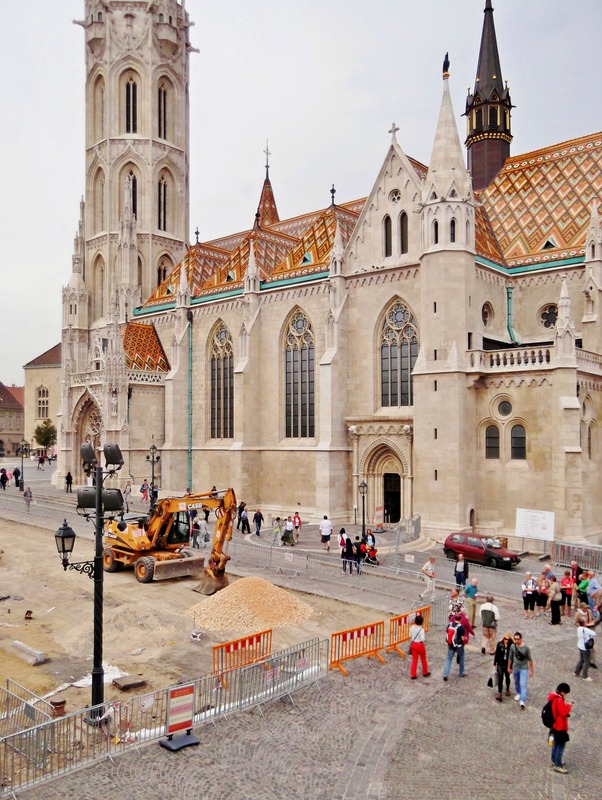 So I don’t have any photos of the church as a whole without this annoying building site. At least, the orange colour of the dredge and the fences demonstrate an exquisite sense of taste. What a gorgeous roof! 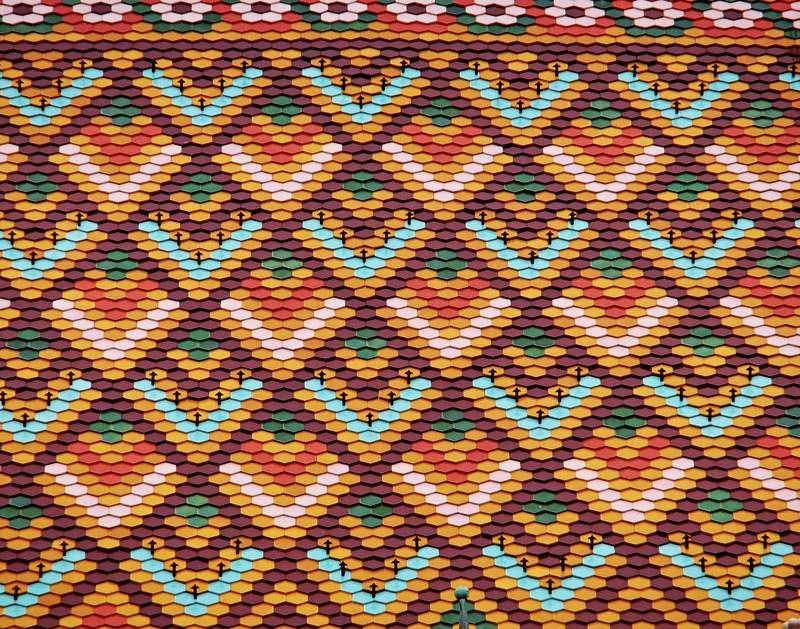 Reminds me of the Burgundian roofs of France. Yeah, it looks great. I will soon write a whole post on my stay in Budapest. More nice photos to come! A marvelous post – excellent captures. For those, who have never been, and may never go to this amazing city – this is the next best thing to being there. Thank you!! I will post a lot more pics of my stay in Budapest soon, it’s such a beautiful city! Great entry for the challenge! Absolutely stunning and unexpected mosaic. Am looking forward to seeing more of Budapest in your posts and hopefully visiting there myself someday! Those roofs are so unique and beautiful. Never seen like it before..
Budapest is really worthwhile, I hope you can go there one day! Indeed..I went there.. Budapest is really beautiful. Parliament building, basilica, chain bridges and many more. But I missed this place..
Wow. Is it as spectacular on the inside as it is on the outside? Love that roof. It is spectacular on the inside! More pictures are coming soon. That is a beautiful roof! Budapest is great, I spent 5 days there last year, but I hope to go there again sometime.